The cars tend to be rock solid, and they last forever when maintained properly. Jay Leno has one in his collection, and it recently came off a fairly extensive restoration. Leno's car is a 1971 Mercedes 280 SE 3.5 Coupe, and it's a shining example of the wonder that is an old W111 Benz. 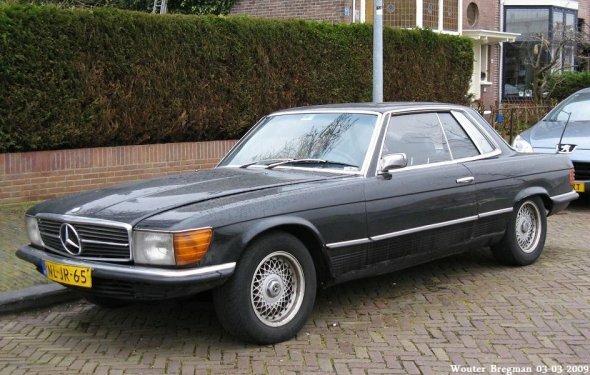 On the coupe side of this S-Class predecessor, the largest engine made available arrived in the form of the 3.5-liter V-8. It produces around 200 horsepower and sees the 280 SE 3.5 Coupe cruising fairly effortlessly at highway speeds. The W108 sedans from the same era could be had with larger 4.5-liter or even 6.3-liter V-8 engines, but the 3.5 was perfect for getting the coupe down the road. Jay's example looks flawless in silver. The doors close with the expected yet still gratifying thunk that comes with Benz products of this era. Paul Bracq penned the lines for the car, and it brought Mercedes away from its older (yet still gorgeous) fintail era and into the future. Straight lines were arranged into a package that was, and still is, quite pleasing to the eye.